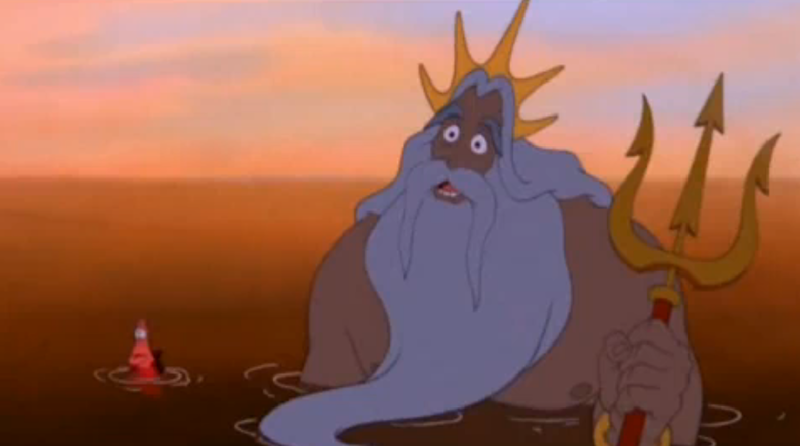 I just finished re-watching The Little Mermaid for the first time in years and was struck by something I never noticed as a child. I never realised that even though the whole plot is set into motion by Ariel’s stupid/immature/rash actions, she doesn’t have to learn anything to get her inevitable happy ending. She gets her happy ending entirely due to the sacrifices of others: Triton sacrifices himself to save her, and then Eric makes what looks to be a suicide run to kill Ursula. *And* she crashed the car? Previous The Way of the World? Ha! Your Dad sounds like a wise man. The most baffling part of the film is that after all the drama Ariel caused, Triton capitulates in the finale and gives Ariel human legs. Did your father end up giving you human legs? I missed that too but thank you for sharing this bit of wisdom. Disney does tend to gloss over the realities in life. Thanks for sharing. I invite you to visit my blog. Only if you’re a pretty girl with a nicely filled-out seashell bra. Not to mention SHE’S 16 YEARS OLD, and in the end she sacrifices her family and whole world to marry a guy she’s only known for 3 days without having had a conversation with him. Too true. I’d have been a cynical little boy if I had’ve noticed this when I was a child! What annoys me, though, is that very often female ‘heroines’ are consigned to achieving their feats solely by means of personal sacrifice and enduring hardship, rather than by taking affirmative action. In turn, that is an interesting observation. Nice, I like that. I’d love to hear the differentiation between personal sacrifice, enduring hardship and taking affirmative action. The difference, it seems to me, is entirely mental. It’s all in the perspective?